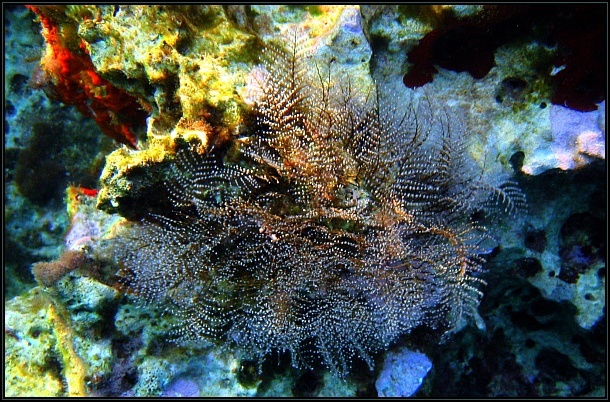 Pennaria disticha is an atechate hydroid generally found in shallow waters with significant turbulence. 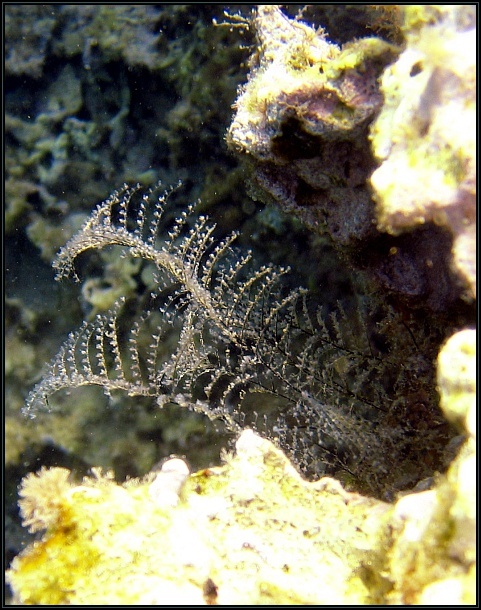 It is one of the largest hydroids locally and is the easiest to identify because its dark perisarc (branches) contrasts with the white polyps; branching is alternate. It is usually attached to bedrock.